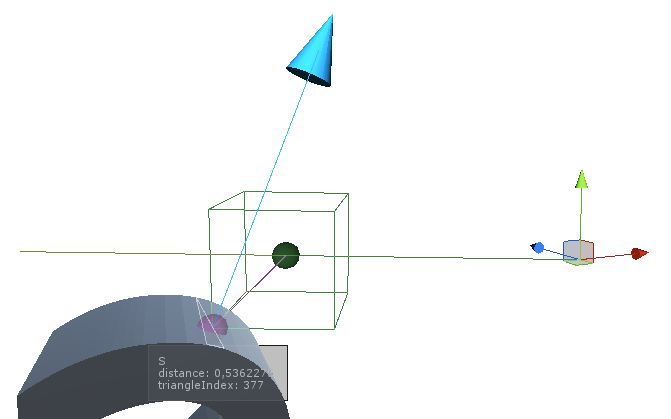 This library wraps Physics.XCast and Physics.OverlapX methods into MonoBehavior, and acts like a configurable sensor. With that, you can write logic that is less focused on ray casting logic, and more on reaction when ray hit something. Max Results - Since sensor can detect multiple objects at once, it needs to preallocate array for specific object count, to avoid garbage generation for each cast. Lazy Allocation - If there is chance that your sensor will be unused, you may tick this checkbox, to delay array allocation untill first use. This option may save you few nanoseconds, if you are desperate for performance. This library is designed to allow faster Cast/Overlap iteration cycles, and give ability to easily swap between sensor types without code modification. Ray/Capsule casts are absent because they are SphereCast’s special cases. If Radius = 0, Ray cast is used for detection, if Width > 0, Capsule cast is used. Similar logic applies to overlap sensors. Every inheritance level has logic that allows to work with results independently of sensor type. So, if you just need to check for object prescence, you can use base class - PhysicsSensor just to get basic information about hit (Is detected something, Collider of detected object). With that, you can assign any sensor to that property, and if you need to change from BoxOverlap to SphereCast, you dont even need to modify your sources, you can just swap your sensor. And all these scripts will be included in your project as dependency. Otherwise, you can just copy files from Assets/Scripts/Runtime to your project.